Kyon: "WHAT THE HELL IS IN YOUR EYE?!" Mikuru: "Um... are you alright, Haruhi?" 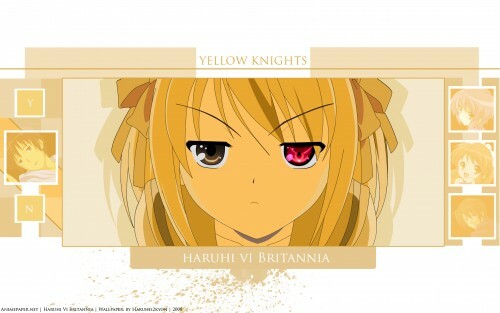 Koizumi: "Why hello there, your eyes are as mesmerizing as ever"
Haruhi: "I, Haruhi Vi Britannia, command you to die!" Kyon: "OMG WTFBBQ... oh, I mean good job Haruhi, good job"
This is definitely not my best wall, but made it for fun... so yeah. 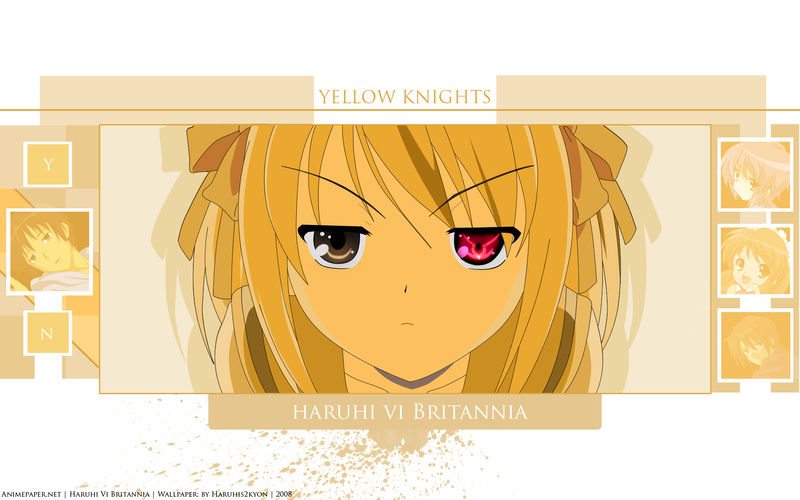 Haruhi: "Haruhi Vi Britannia commands you to comment/fave!" Interestingly, the dialogs are very fitting for their personality. I can definitely see them saying that. All hail Britannia! All hail Haruhi! Explain the choice of the color Yellow for Yellow knights, please. Lol. I like the picture, but the jokes, ehh. lol. It's cool. Good work.